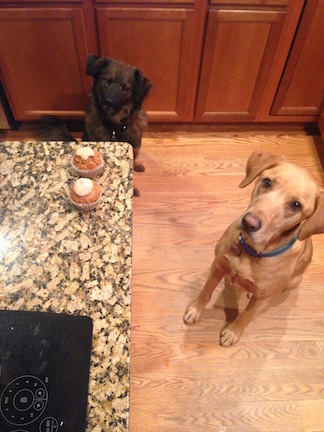 Our friends at The Icing recently sent home a pair of tasty “pupcakes” for our four-legged family members, Emmett and Ollie. 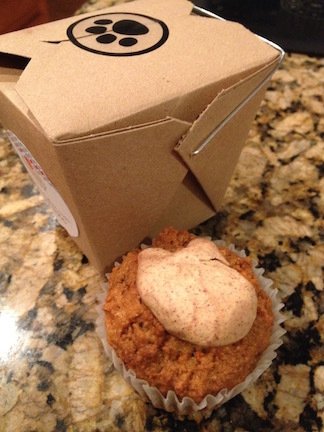 These clever little treats look like cupcakes but they’re made specifically for dogs. 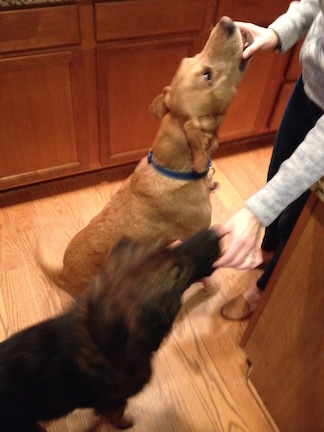 I have to admit, I can’t personally attest to their tastiness, but the dogs certainly can. The Icing, located on Garrison Road in Stafford, supports the Fredericksburg SPCA (among its other charitable support), so it’s no wonder they’re baking up yummy goodies. Emmett and Ollie certainly appreciated it! Talk about “woofing” ’em down!